Will this be the best year ever for your family? Forget about resolutions which are easily broken (or forgotten) by the second week in February. Instead, focus on making memories together! Celebrate the little things. For both kids and parents, make a big deal out of milestones and developments in your lives. You can have a potty training party. Celebrate good grades or a promotion or a new job with an impromptu shindig. 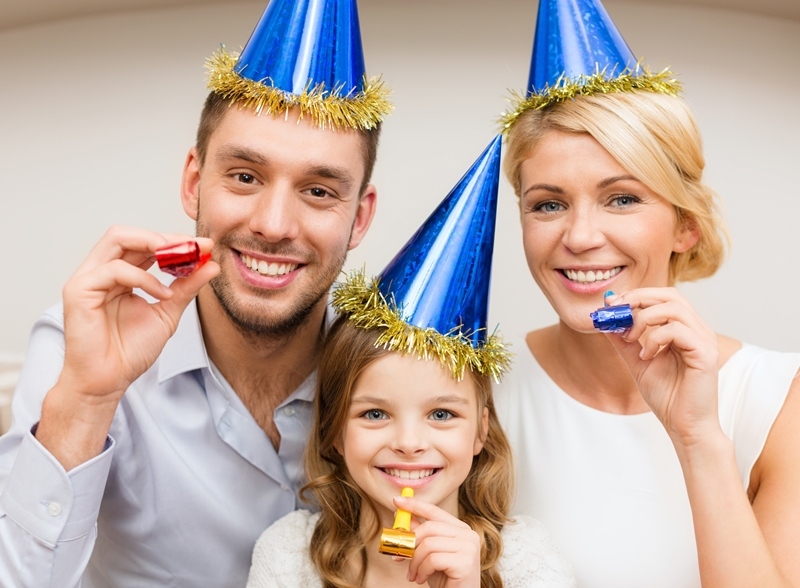 Dig out the party hats and noisemakers and celebrate your family’s important moments. Help the world grow while your child does. Think about planting a tree or some kind of perennial on your child’s birthday. Plant something each year on their birthday and you’ll fill your yard with beauty, an awesome reflection of your child’s own growth. Go through your photos and videos from the past year and make a highlight video or an online photo album. Do this every year and you can commemorate all that your family experiences—and have a wonderful document of watching your family grow. Try new things together. Designate a weekly (or more frequent) family night to try out a new meal, play a new game, or watch a new movie. Learn what your children are interested in or figure out something you haven’t tried yet and experience them together. Read. Make a list of books you want to read this year and work through it with your kids. You can have your own parent list, too. Reading your own books is a great example to set for your kids, to show how reading is a lifelong pastime and source of enjoyment. Start a journal or write letters to your child. Tell them about your life and their life. Share these memories with them or put them away for the future, your child will love to discover this document of your family when they’re older (and possibly have families of their own).